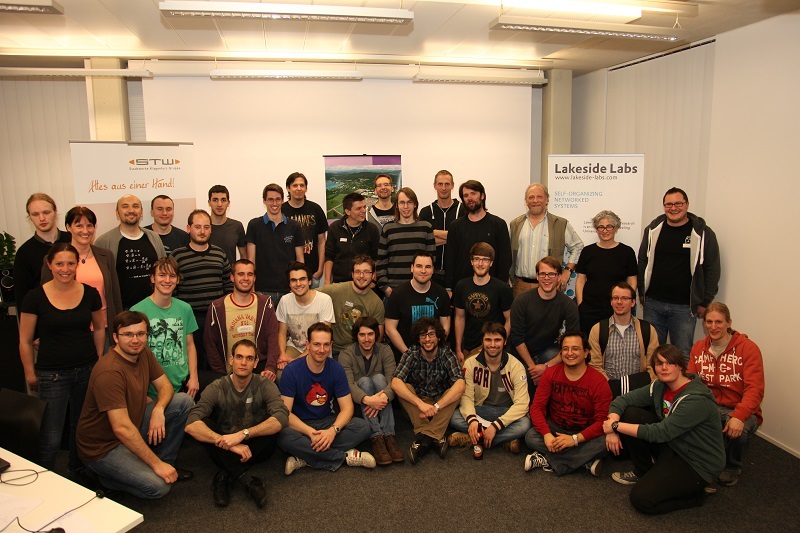 Klagenfurt’s 1st GameJam – a great event! March 13th and 14th, the first GameJam in Klagenfurt, organized by the CROSMOS-Team, took place. More than 30 people participated on the event, and after two days of brainstorming, being creative and doing hard-core programming, five really amazing games were presented. Not only the results were amazing, but also the atmosphere! Thanks to all for the great time and hopefully see you again on the next GameJam! This entry was posted in General on March 17, 2014 by cstreussnig. On January 27th we were able to introduce the focal points of the CROSMOS-Project to students of the Alps-Adriatic-University in Klagenfurt. Within the scope of the lecture series “Visual Culture. Game Studies”, we discussed early beginnings as well as future aims and goals. Claudia Streußnig and Matthias Wieser glanced at the cultural aspects of game studies in general and their adaption to the specifics of the project, Bernhard Dieber, former staff (and founder) member, explained CROSMOS from a technical and holistic point of view. It was the first public presentation of the project – but surely not the last. We’re looking forward to the next opportunities to discuss our research! This entry was posted in General on January 28, 2014 by cstreussnig.